On the week of May 16th, Senator Nicholas Scutari introduced a bill that would allow for the recreational use of marijuana in the state of New Jersey. Not only would the legislation allow for marijuana to be recreationally used, but also grown, sold, and taxed in the state, allowing New Jersey to join the 11 other states that have already legalized its recreational use. However, Governor Chris Christie has indicated that he has no intention of signing the bill into law, necessitating that Scutari be prepared to get the bill ready for the next Governor if he has any hope of making it the law of the land. Gubernatorial candidates Phil Murphy, Jim Johnson, Senator Ray Lesniak, and Assemblyman John Wisniewski have all indicated that they would support the legislation. Supporters have indicated that if passed, this bill could serve as a major economic boost for New Jersey. Municipalities would be able to establish a seven percent tax on these products during the first year, and increase that tax each year thereafter until it reached 25 percent by the fifth year. People could possess up to an ounce of marijuana, 16 ounces of infused products, and 72 ounces of the product in liquid form. It would also establish a Division of Marijuana Enforcement to regulate the recreational marijuana industry. However, others have expressed concerns that the bill doesn’t go too far because it doesn’t explicitly allow people to grow marijuana on their own property, nor would it direct funds towards communities that need it. It also wouldn’t allow for the criminal records of those who’ve been arrested on drug charges to be expunged. The bill is currently under review by the Judiciary Committee, and could still be amended. Currently, possession of 50 grams or less of marijuana in New Jersey could result in spending six months in prison and paying a $1,000 fine. 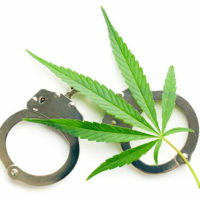 Possession of more than 50 grams can result in 1.5 years in prison and a maximum fine of $25,000. Distribution and/or cultivation carries more severe penalties: distributing less than one ounce carries 1.5 years of incarceration and up to $25,000 in fines, while 25 pounds or more could result in up to 20 years of incarceration and a fine of $300,000. However, New Jersey has already legalized medical marijuana, and has developed a program (the MMP), which allows patients to register and participate, find doctors who participate, and obtain additional information about the program. If you have been arrested for a drug crime in New Jersey, you should speak with a drug crime attorney as soon as possible. We’ve been protecting communities throughout Bergen County and surrounding areas for more than 25 years. Contact us at the office of Phillip J. Murphy today to find out how we can best protect your rights while building your defense.